First off, 4 new images appeared over at MovieGod that give us a few more looks at the cast and some of the mayhem coming from Freddy. 3 of the 4 new images remind us that director Samuel Bayer's "A Nightmare on Elm Street" is very much a remake. Take a look at them yourself. As previewed in the header, a new poster also debuted online yesterday. The new poster is very much in the same vein as the previous poster that debuted back in July. I love the look, but I gotta admit, its nothing as captivating as the original 1984 movie poster. 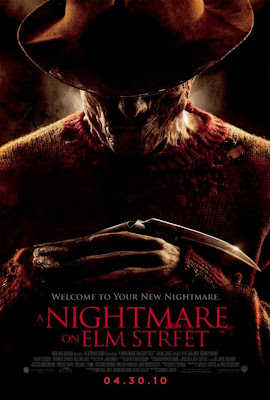 Stay tuned for more on "A Nightmare on Elm Street" as it develops including a new trailer that will debut on MySpace Thursday at 12:01 A.M. The same final trailer is said to be attached to prints of "Cop Out" releasing this weekend.